Will you be writing to Santa? 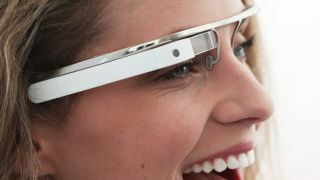 Google has reportedly confirmed that the Google Glass AR specs will be available for the public to buy sometime during 2013. On Friday, CNET sources claimed the project's development is running ahead of schedule and the consumer launch - originally planned for 2014 - has now been brought forward. Moreover, the intended RRP will be lower than the $1,500 we've heard so much about in the last few months, according to the report, although it didn't state how much lower. Earlier this week the search giant launched a competition to find Glass 'Explorers' to test the wearable devices, with winners still having to fork over $1,500 for the privilege. Friday's report also brought 'confirmation' from Google that the Glass specs will use Bluetooth to link up to Android devices and, somewhat surprisingly, the iPhone. The news brings to a close (we think!) a huge week of Google Glass developments. Earlier this week Google released a YouTube video showing off more of the gadget's functionality, including the ability to command Glass to take photos and videos, search the internet and find directions. Now a 2013 release date looks like a very real prospect, will you be adding Google Glass to your Christmas list? Or is the first-gen price-tag still looking a little too hefty despite the reported drop? Let us know in the comments section below.